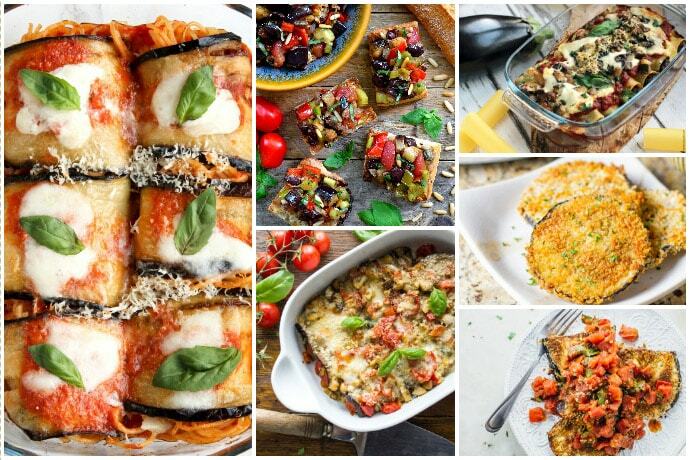 Meaty, hearty and light, there’s everything to love about aubergine – Get inspired with these 30 Easy Vegetarian Eggplant Recipes perfect for fall season. 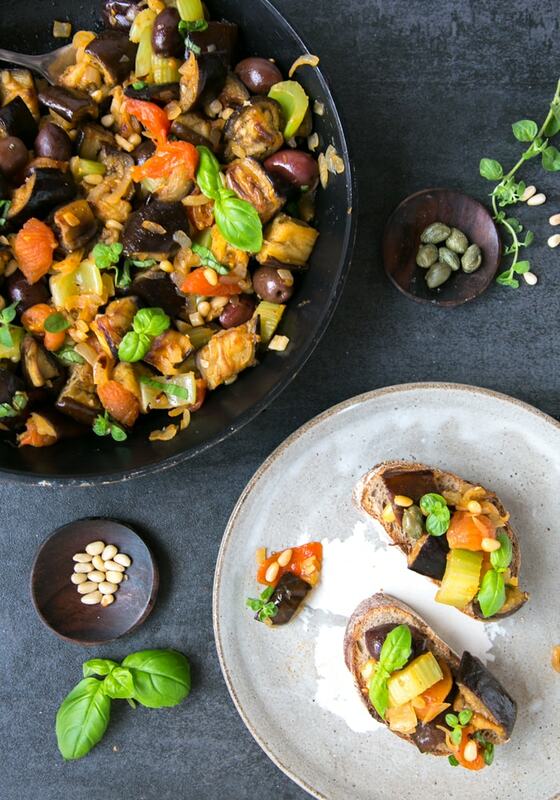 Available all-year-round, aubergine is an incredible ingredient to use in your cooking. 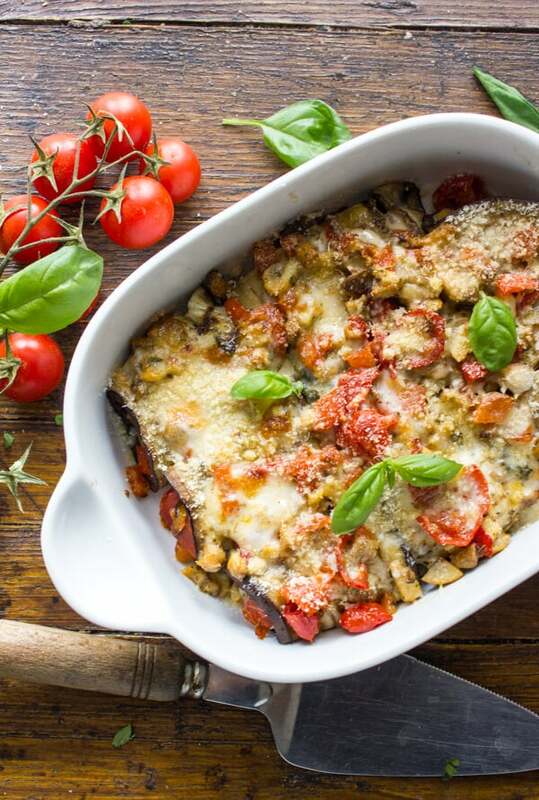 Light in calories, with a relatively plain flavor, eggplant super power is hidden in its spongy texture, which soaks up all the flavor you pair it with. 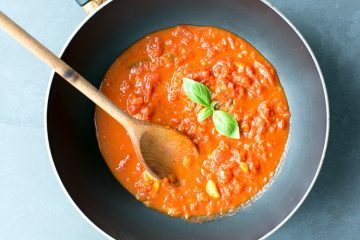 Thanks to its meaty consistent, it’s a fantastic substitute to meat, whether you take part to initiatives such as meatless monday, or just trying to reduce your weekly meat/fish income. 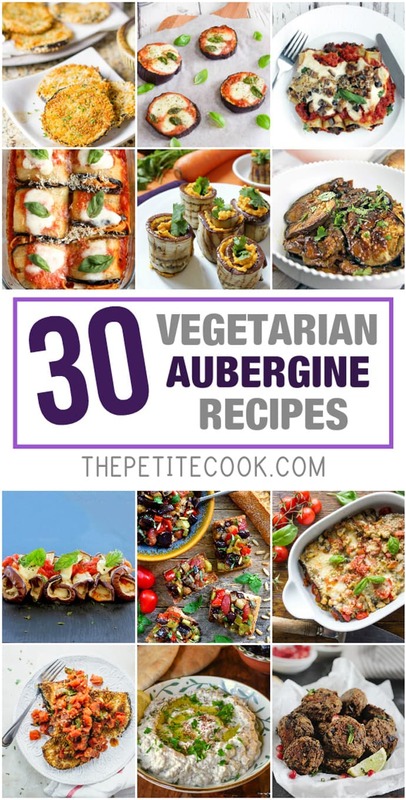 To celebrate my love for these beauties, I have gathered 30 delicious and easy vegetarian eggplant recipes from my favorite food blogs. 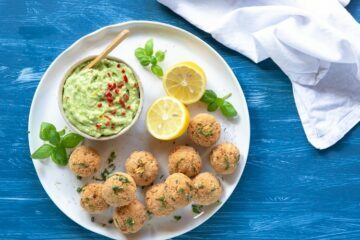 From italian classics to asian inspired sides (and lots of new creative ideas inbetween), I’ve got you covered all the way from breakfast through dinner time. So, get ready to fall in love with this awesome, versatile fruit (yes! It’s actually a fruit!). 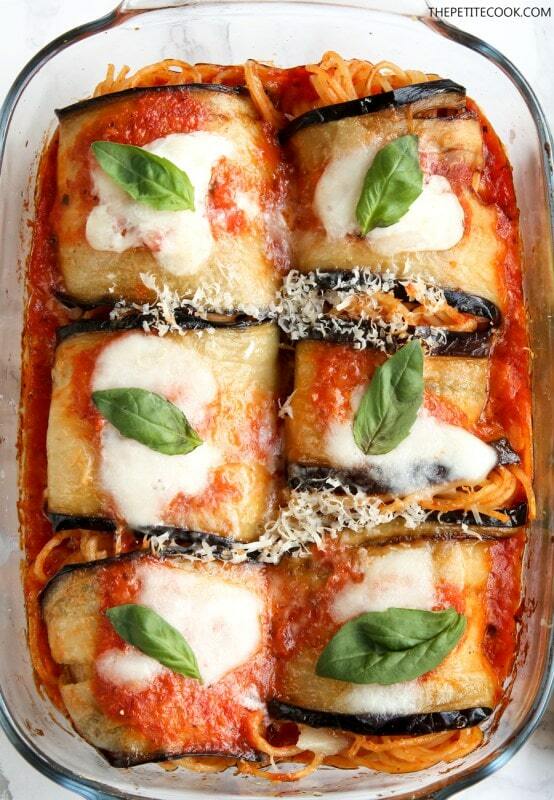 From pizza and lasagne to curry and chips, you’ll want to eat eggplant at every meal! 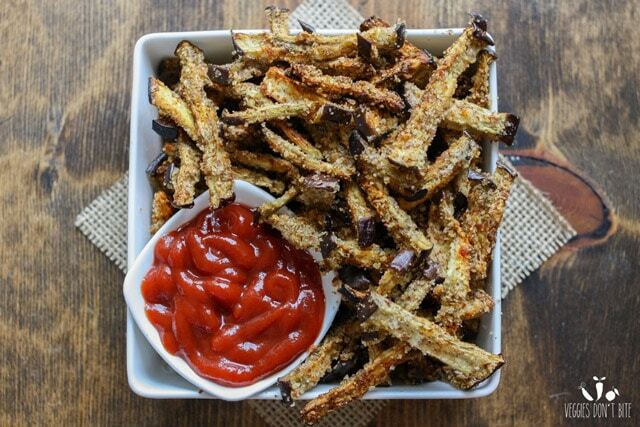 Thank you so much for including my eggplant fries in your roundups! You have a fabulous collection here! Thank you so much for this. I’ve just made the leap and gone full veggie, so stocking up on vegetarian recipes. There are a ton of ideas here so it’s a great help. Bookmarked! Congrats Dan! 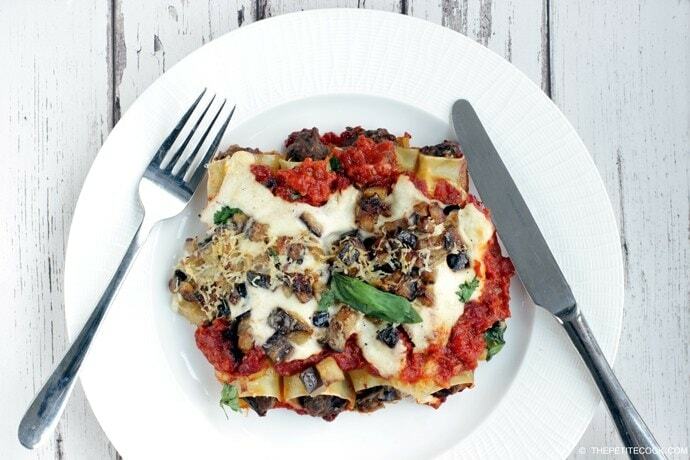 If you ask me, it doesn’t get better than eggplants and mushrooms to make the most of your new vegetarian journey. 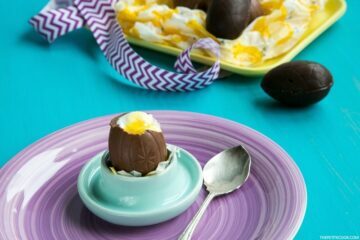 Hope you try these yummy recipes! Great roundup! 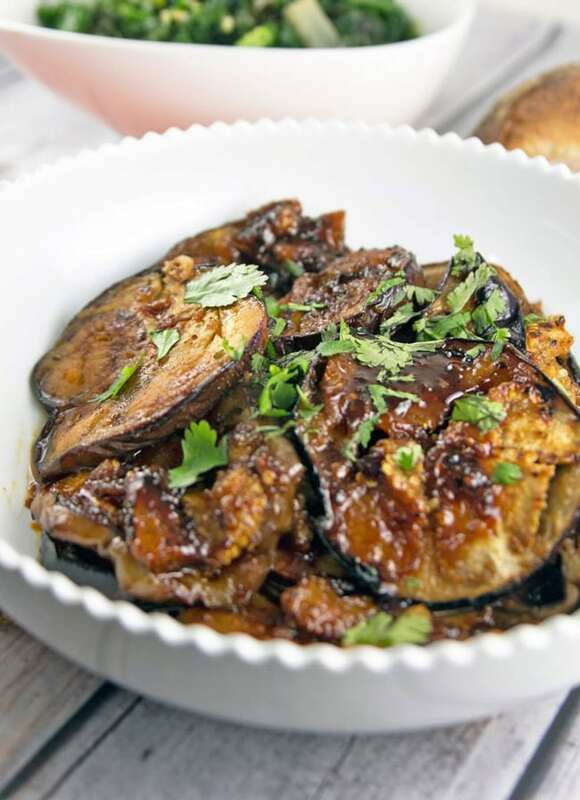 Thanks for including my Moroccan honey glazed eggplant. 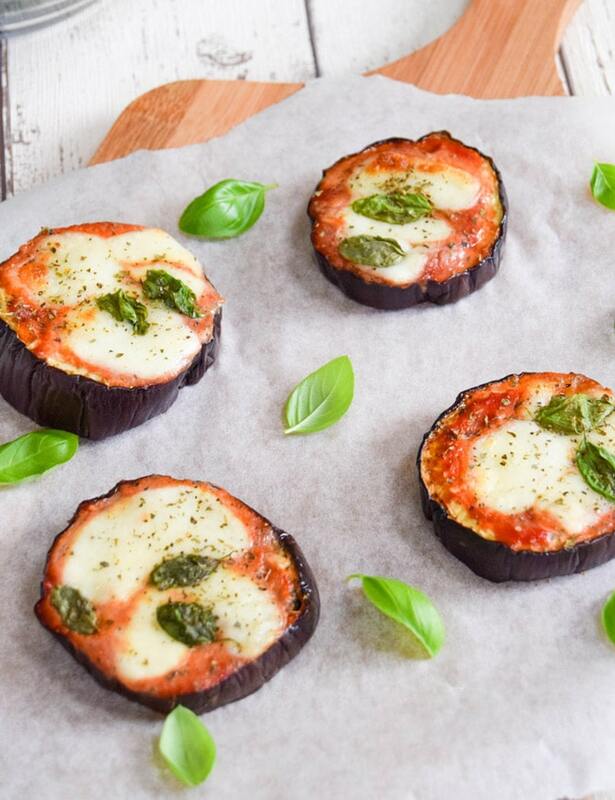 🙂 We’re big eggplant eaters, so I will definitely try the other recipes. Thanks for including my casserole! Gonna check out the other great recipes! 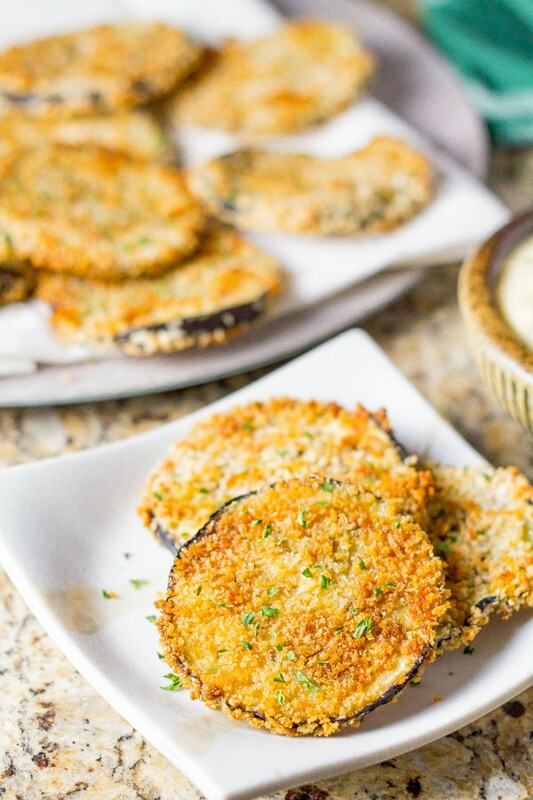 Thank you for making this delicious recipe Lauren, definitely a must-try for all eggplant lovers out there! So many great ideas here, one of my favourite vegetables! This is brilliant. I never quite know what to do with aubergines when they turn up in my veggie box. I’ll never be stuck for ideas again now. 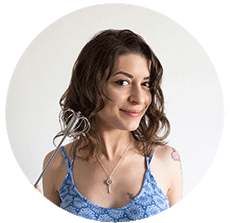 Such a beautiful collection of recipes! 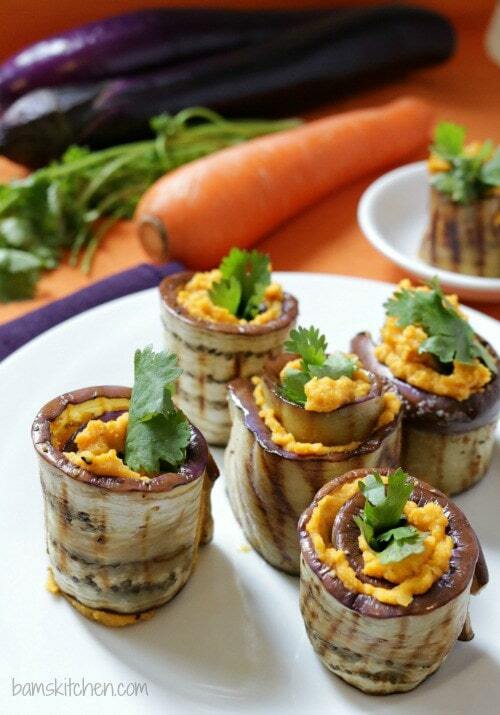 I love aubergine to add meatiness to a vegetarian dish. 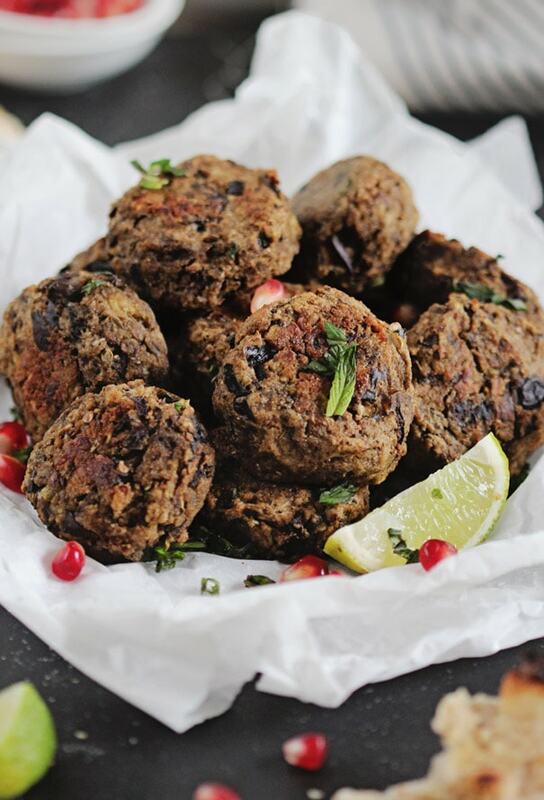 I love aubergine but usually end up either just stuffing them or putting them in a curry, so thanks for all these ideas! 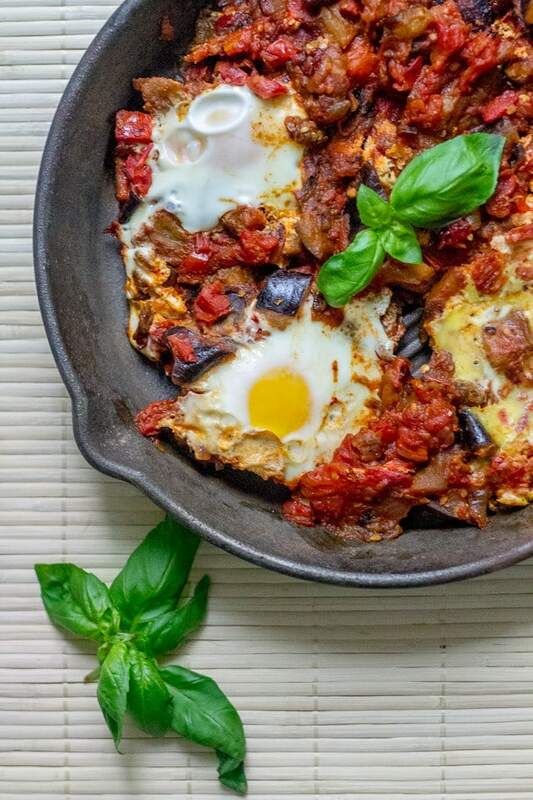 Lovely, thank you for sharing my caponata! I will share your post on my networks over the next few days.